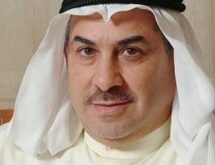 KUWAIT CITY, May 19: The Court of Appeals presided over by Judge AbdulRahman Al-Drammeh listened to several defendants accused in case no. 302/2016 popularly known as “Al-Abdali Cell”. The court postponed the case to May 25th to complete the defense pleading session. 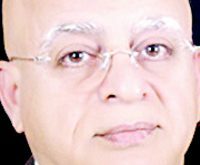 At the session, Attorney Khaled Al-Shatti pleaded the court to nullify the search and arrest procedures conducted in his client’s house because the process was illegitimate. 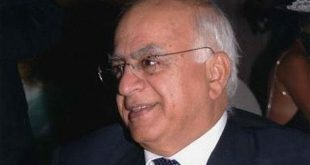 Attorney Al-Shatti told the court that gathering of weapons during the Iraqi occupation of Kuwait could not be a hostile operation against the occupied state. He went on to consider the claim as irrational. He also disqualified statements that his client acquired explosives from Iran, describing the allegation as baseless unless it’s a figment of imagination. Even so, it is difficult and irrational to believe it had actually happened. 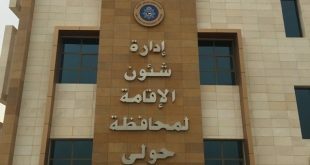 Meanwhile, the Court of Appeals presided by Judge AbdulRahman Al-Drammeh set the first of June to look into the appeal filed by Yaqoub Al-Muzeini in a case involving himself and Fahad Al-Raja’an concerning damages they caused to public funds. 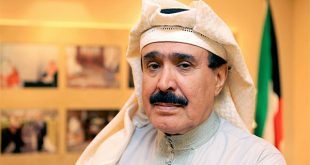 Visa ban on some: Kuwait said it will stop issuing visas to religious personalities who plan to visit Kuwait during the holy month of Ramadan because they are known for their controversial views, reports a local Arabic daily. 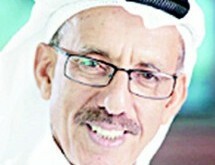 The daily added, these people traditionally visit the country to deliver sermons and lectures during Ramadan. The Interior Ministry during a meeting with other government institutions and security agencies has said it wants the Ministry of Awqaf and Islamic Affairs to provide it with the names of religious figures it wants to invite to Kuwait. The Interior Ministry explained it needs time to check the backgrounds of these people before taking a decision of issuing them the visa or denying it. The ministry is also planning to limit visits by people from specific countries to Kuwait during Ramadan, particularly the Syrians, Jordanians, Iraqis and Yemenis, according to Al-Rai daily. The meeting also recommended that donations in cash will be banned at all mosques and places of worship and that they would be limited to charity organizations licensed by the Ministry of Awqaf and Islamic Affairs. Tents, which are traditionally set up near mosques during Ramadan to allow more space for breaking fast collectively or holding gatherings, will be strictly banned and any offender will be held accountable. The Interior Ministry stressed its zero-tolerance policy towards begging and reiterated that it would be strict in granting visit visas to ensure that foreigners do not take advantage of the holy month to enter Kuwait and engage in the lucrative activity of asking money from people. Foreigners who are caught begging will be deported and will be banned from entering any other Gulf Cooperation Council (GCC) country in the future. The GCC comprises Bahrain, Kuwait, Oman, Qatar, Saudi Arabia and the United Arab Emirates. Money transfers abroad and the names of the senders and receivers will be strictly monitored, the meeting disclosed. Surveillances of mosques and places of worship will be reinforced during Ramadan and the festive celebrations that follow it, the Interior Ministry said. 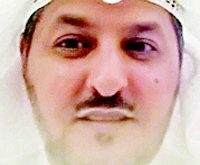 Wanted in kill bid: The Ahmadi police have arrested an unidentified Kuwaiti who had been sentenced in absentia for attempted murder and possessing an unlicensed gun, reports Al-Rai daily. The suspect was arrested during routine patrolling in Sabah Al-Salem. The daily said when police asked the man to pull over, he got confused and this led the police to suspect him. Police then checked his name in the computer and found he was wanted by law. He has been handed over to the Sentences Enforcement Department. Drug peddlers caught: The Salhiya police have arrested three Kuwaitis, including a woman for trafficking in drugs, reports Al-Rai daily. The daily added, the suspects were caught in Jabriya and at the time of arrest they were in possession of marijuana, meth and KD 3,600 dinars believed to be proceeds from the sale of drugs. The traffickers were reportedly caught in the act in Jabriya. They have been handed over to the General Department for Drugs Control. 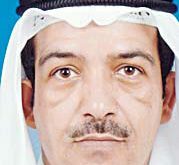 Weapons seized: Personnel from the General Department for Weapons Investigation have arrested a Saudi security man living in Taima, Jahra, for possessing unlicensed weapons and ammunitions, reports Al-Rai daily. According to security sources, the suspect attempted to escape but he was chased and arrested by the police. The suspect was caught when police launched an inspection campaign in several areas of Jahra after taking permission from the Public Prosecution. It has been reported the police have seized from the Saudi two guns, one a Chozen type and the other a submachine-gun and ammunition. The suspect and the contraband have been referred to the Prosecution. Two held with drugs: Patrolmen have arrested two Kuwaitis and a bedoun for possessing a quantity of drug pills. 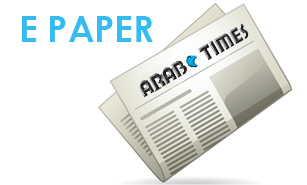 The arrests were made in Jabriya, reports Annahar daily. According to the source, the suspects were caught during routine patrolling in the area after police suspected a car which was parked in front of a building. When the police approached the car, they found the motorist and his companions abnormal. When the police asked the suspects to show their IDs, they looked nervous. The police then searched their car and found 100 drug pills. The suspects and the contraband have been referred to the General Department for Drugs Control.